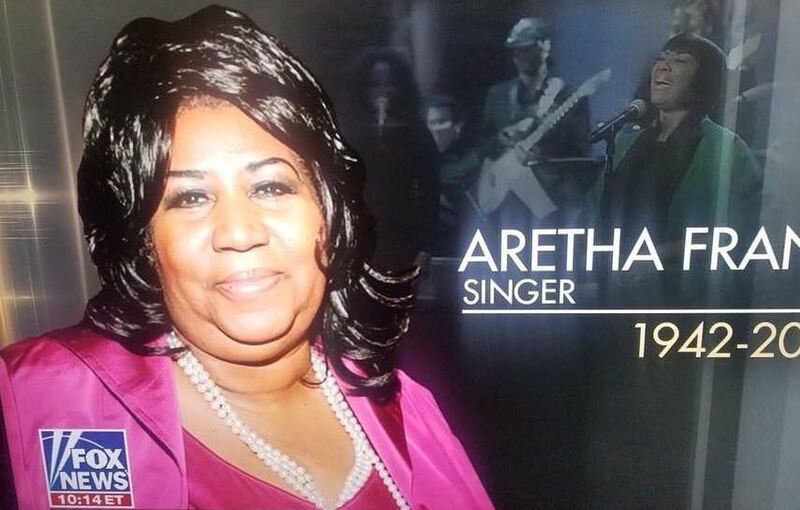 Fox news, while reporting on the death of Aretha Franklin, commemorating her, used a picture of Patti LaBelle in the background of Aretha Franklin. 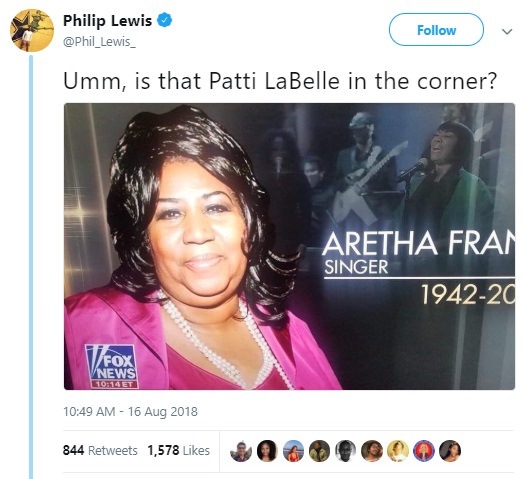 You can see Patti LaBelle’s picture in the background, as Fox news believes they are the same person and they all look alike because they’re black. 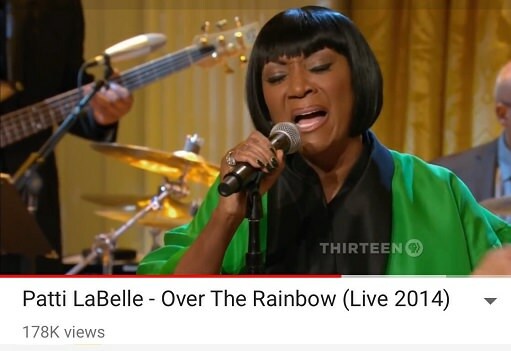 That’s Patti LaBelle performing over the rainbow on PBS. A lot of fans even though it had to be fake because, on the day of a Legends death, there’s no way one would make such a mistake as to mistake her for another black person. All charges against Jussie Smollett have been completely dropped.